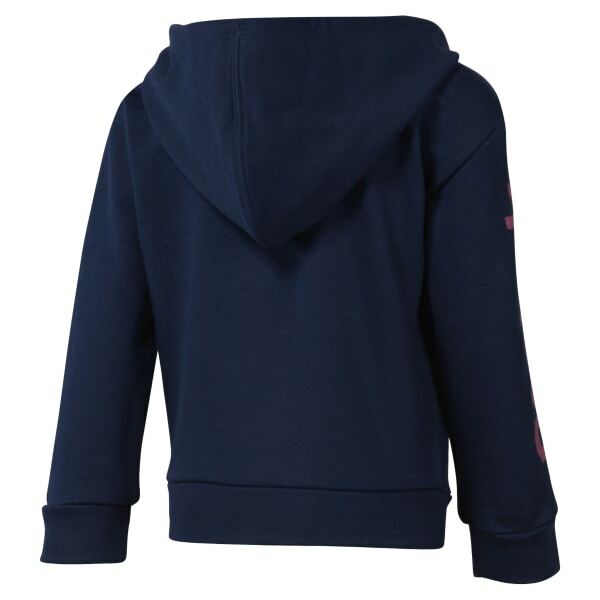 Prep her for cooler weather with this staple girls' hoodie. We designed this hoodie with a full length zip for adjustable wear. A hood helps add coverage during cool commutes and a graphic at the arm boosts her athletic vibes.